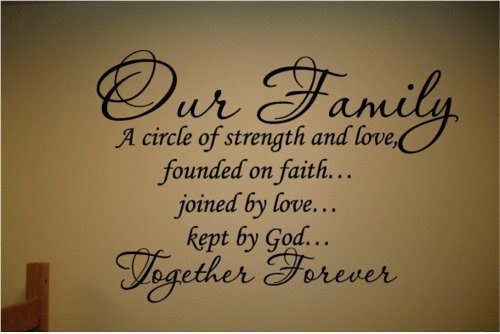 Our Family a Circle of Strength and Love Wall Vinyl Sticker Decal $3.03 + FREE Shipping! You are here: Home / Great Deals / Amazon Deals / Our Family a Circle of Strength and Love Wall Vinyl Sticker Decal $3.03 + FREE Shipping! Head over to Amazon and get the Our Family a Circle of Strength and Love Wall Vinyl Sticker Decal for just $3.03! And, shipping is FREE! I love wall decals – they are an easy and inexpensive way to update any room.